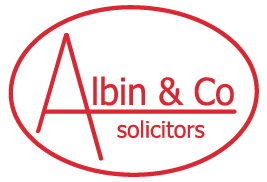 At Albin and Co we are very aware that the idea of funding legal fees can present a major worry for most ordinary people. We take this concern seriously and are sympathetic to financial constraints. As a department and indeed as a firm we are passionate at providing an excellent service that is still affordable. This is particularly important in the current climate where the government has severely restricted the situations in which Legal Aid is now available to fund Family Law cases. As a firm we have a contract with the Legal Aid Agency to enable us to obtain Legal Aid for Family Law work in the very limited number of situations in which it is still available. Legal Aid is still available to parents involved in proceedings brought by the Local Authority. This is available on a non means and non merits tested basis. In other situations relating to divorce, separation, children and domestic abuse, Legal Aid may in limited circumstances be available but we would need to undertake a merits and means test according to the guidelines set out by the Legal Aid Agency. In every case we will assess whether the circumstances of your situation enable us to apply for Legal Aid. If so we will make this application on your behalf subject to you providing us with any necessary supporting documentation that we request of you. In cases where Legal Aid is not available then at the initial meeting we will give you an estimate as to likely future fees. Historically solicitors charge an hourly rate which can be in the region of at least £200 plus VAT. We realise that for many people, this kind of charging arrangement may not be realistic or affordable. “Pay as you go” style arrangements. We offer an initial consultation for a fixed fee of £120 (inclusive of VAT).